Along with winter comes the biting cold, the fear of freezing pipes, and other inconveniences. But let’s not forget about the good that comes in tow of winter’s presence. Things like cozy visits with friends around hot cocoa, holiday parties, and more can help keep the winter blues away. To help you stay in your holiday best, we have some helpful tips that will keep you staying safe and warm this time of year. 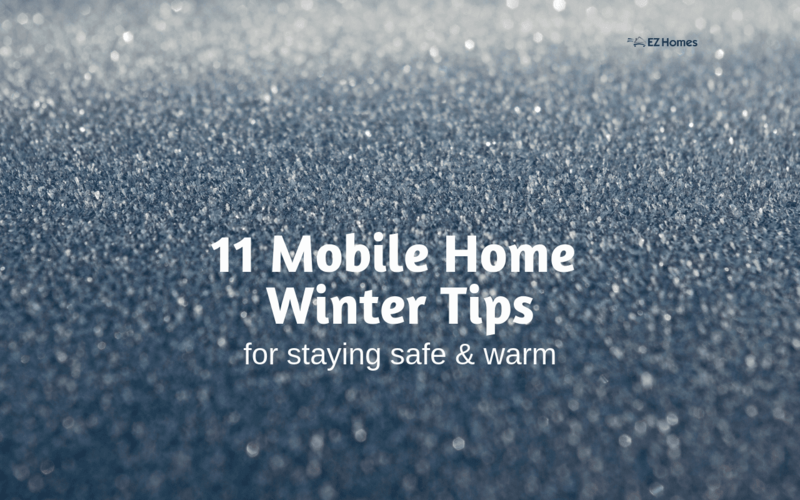 Scarves and gloves are in — and so are mobile home winter tips. As you prepare for your mobile home winter, you’ll find these tips easy and helpful to keep safe and warm. If water settles in your mobile home’s pipes when low enough temperatures hit, your pipes could crack. We recommend allowing water to drip when it’s freezing cold. Pipes that are exposed to the cold weather ought to be insulated. To keep your hoses and sprinkler systems in good shape, drain them out and put away what you can in storage to save them for spring. How often do you check on your dryer’s lint? During the winter, especially, check the lint collector regularly and toss out the lint. If left unattended it could pose a fire hazard. 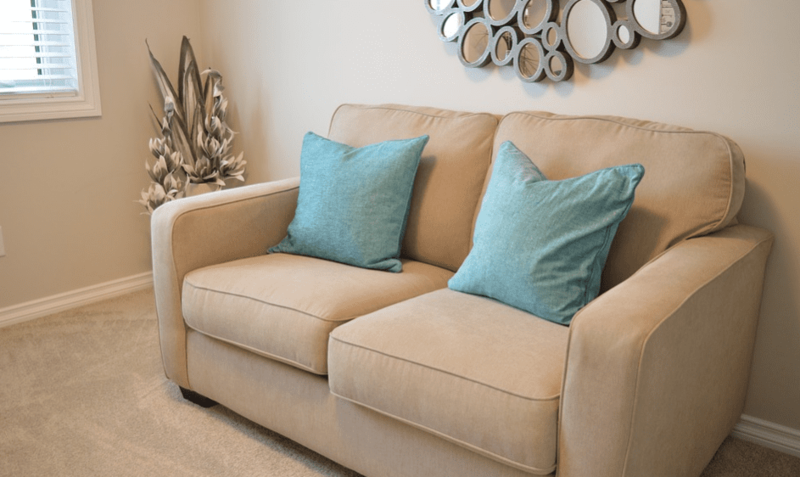 Verify that your furniture isn’t blocking your heat vents. Move what needs to be moved so your heat can circulate through the house. The last thing you want is to run your heat without leveraging its full potential to keep your family warm. In the event of a fire or carbon monoxide problem, these alarms could save your and your family’s lives. Make time to test that your alarms are in good working order. Notice that your windows have gaps where air can seep through? Seal the areas where your windows meet the house. This will help mitigate the cold air from entering your home. Find the caulk that’s right for your needs. When the temperatures plummet, you’ll be glad you did. Now that the holidays are upon us, of course you’ll want to decorate and join in the holiday spirit. But take care that you keep water away from electricity — they don’t mix well. And make time to check your Christmas lights and other cables for nicks and damage. Exposed wires can zap you if you’re not careful, or they can create a fire. Patch them up or better yet, dispose of them before something bad comes of it. Another mobile home winter tip is to maintain a stock of ice melt. When the icy weather hits, you’ll be glad to have ice melt on hand to make your walkways and drive safer for walking. Slippery ice is dangerous and can result in bodily injury. Now that the days are shorter, you’ll be relying on your outdoor lighting more often. Check the lights you have out there. Are they working? Do you need to change out a bulb? For those households that like to keep the holiday aesthetic going with candles, consider battery powered candles. 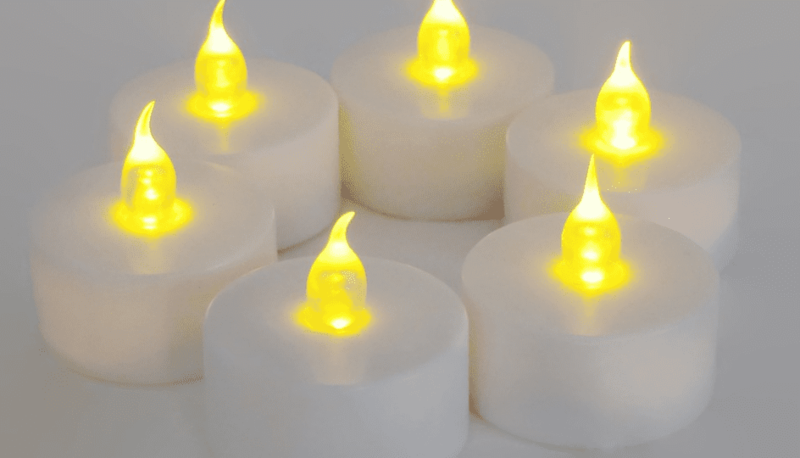 With battery-powered candles, there’s no worrying. Your dog, your cat, and your kids can knock them over and you won’t have to be in fear of fire. And you can use them year after year with battery replacement. That’s a win in our book. When you don’t have a plan, you are planning to fail. Every home needs a winter emergency plan that’s prepared and ready to implement. If the power goes out, you don’t want your family caught off guard when the temperatures are low. Consider getting a generator and having food on hand that can be prepared with ease. Additionally, try to have clean blankets and an alternative form of lighting available and within easy reach. A propane camping stove is also a good idea to keep handy. Just be sure your propane tank is filled throughout the season. The best tip you can take for a safe mobile home winter is to relax and enjoy the special moments with those you love. Stress doesn’t need to take the spotlight now or at any time of the year. Your home will be a safer place without it.